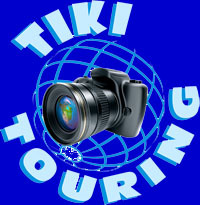 There are many benefits to advertising your tourism-related business on Tiki Touring. Our online travel magazine is aimed directly at tourists wanting to travel in The Cook Islands and New Zealand. We point the way for 30,000 visitors a month. Tiki Touring's authoritative articles on places to visit and tours to take carry weight among travellers and will boost your chances of attracting them to your business. Aside from the regular visitors, Tiki Touring contains high value pages for internet search engines meaning if your business is highlighted on the website then you are likely to be more widely seen. To help you promote your business we can inform travellers about the services you offer. Tiki Touring can also provide a webpage within a featured section of the website where you can describe your own business. This allows businesses to become part of the internet's travel phenomenon without the huge expense of having a website built. To contact editor Richard Moore just click on this link.